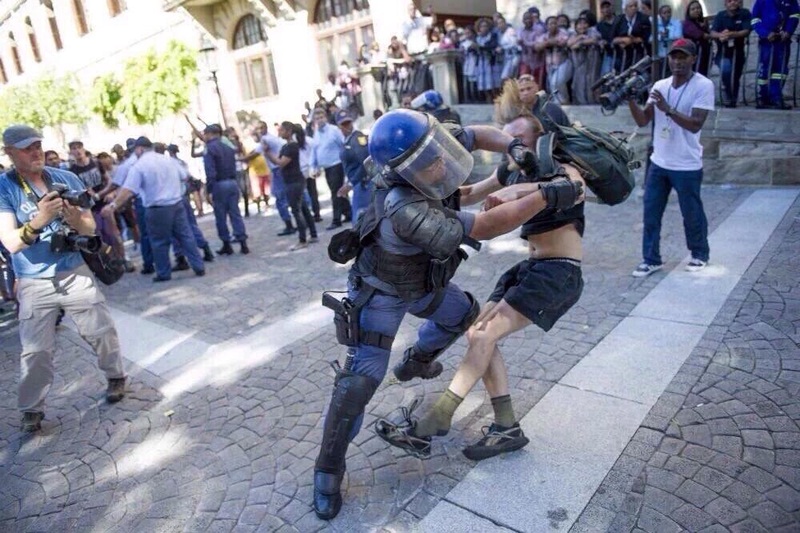 As Finance Minister Nhlanhla Nene addressed the second medium-term budget policy statement in Parliament today, protesting students broke through Parliament’s gates and stun grenades were fired as riot police attempted to push protesters back. Western Cape students marched to parliament this afternoon and demanded to see Minister of Higher education, Blaze Nzimande. Things took a turn for the worse when students managed to break through Parliament’s gates resulting in riot police shooting rubber bullets at the crowd, Parliament is currently on lockdown and the assembly has been adjourned. In the latest update on the situation at Parliament Lazola solani reports that the Minister of Higher Education, Blade Nzimande has addressed the group of protesting students and has said that the proposed 6% increase still stands. 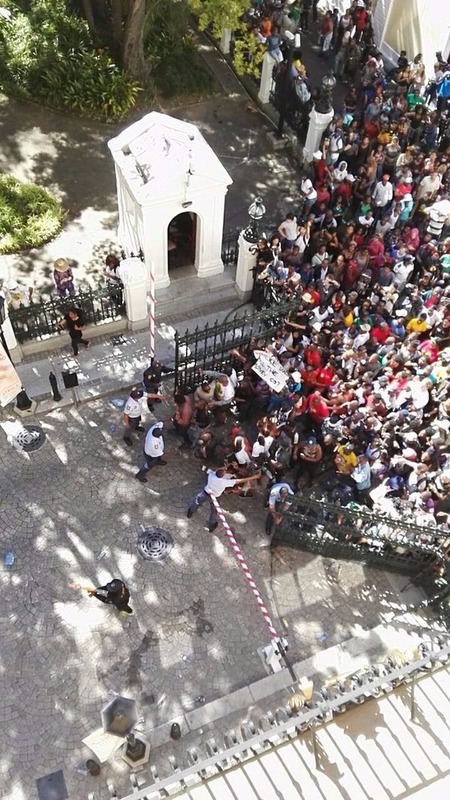 “However the students seem to be hash tagging that Blade Nzimande must fall, Police are trying to block off Plein street and students seem to be moving away from parliament.” Solani concluded. 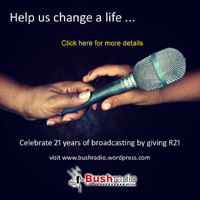 In a change of events Bush Radio correspondant Mkhuseli Veto who is on the scene reports, students have once again called on Minister Nzimande to come out and speak to them, and have insisted that they will not leave until he comes and speaks to them even if it means that they have to sleep at Parliament.